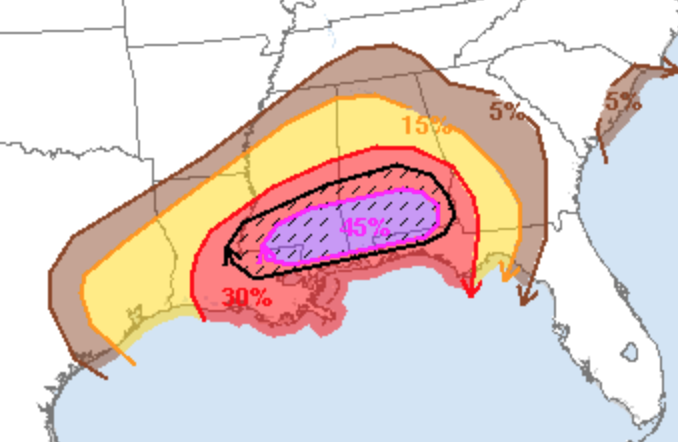 If you live in the 15% or higher area, it would be good to keep on eye on the weather Tuesday and Tuesday night. 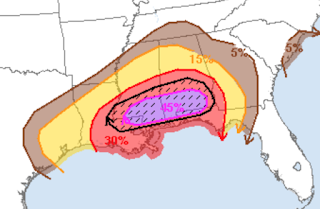 In the hatched area, there is the potential for violent tornadoes -- including after dark in the eastern half of the area. So, this a situation where people should keep a close eye on reliable local weather information sources.